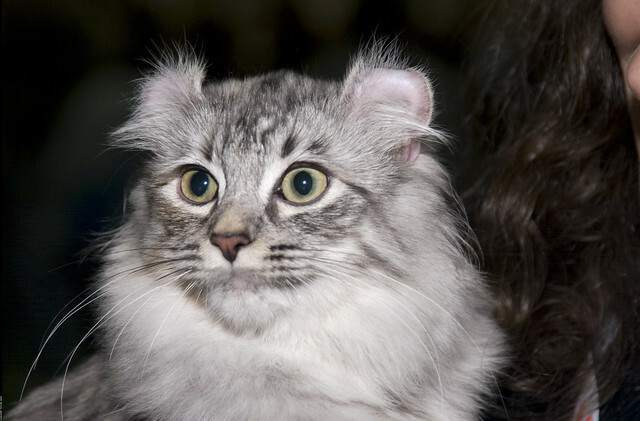 A domestic cat breed, American Curl has perhaps the most amazing ears in all of the feline world. The name 'Curl' is in fact attributed to the ears that curl back from the side of the face towards the center of the head. These give the cat a very singular and sweet look and are the reason behind the enthusiastic development and pursuit of this felid as a distinct breed. The breed originated in the early nineteen eighties when a feral female with curled ears was first discovered in California. The individual appearance of the kittens from this cat's litters soon attracted breeders who took to establishment and propagation of the American Curl. Within the last two decades, the cat has gained widespread recognition among cat fanciers in the United States and is now registered in both long and shorthair classes. American Curl is a medium sized animal with an elegant physical makeup. Weight is normally around six to eight pounds. The coat is smooth and lustrous in both short and longhair format. Longhair cats have a fluffy tail. The remarkable ears are straight in newborn kittens but begin to curl within the first week of age. They reach their permanent confirmation by the first four months of life, curling at an angle between ninety to one hundred and eighty degrees, and should not be manually disturbed after that, for fear of breaking the ear cartilage. American Curls are one of the friendliest cats around today. They have little problem accepting other cats and dogs in their household and do well in case of either large or small family. Faithful pets, they always try and be around their humans, accompanying them in all of their activities. 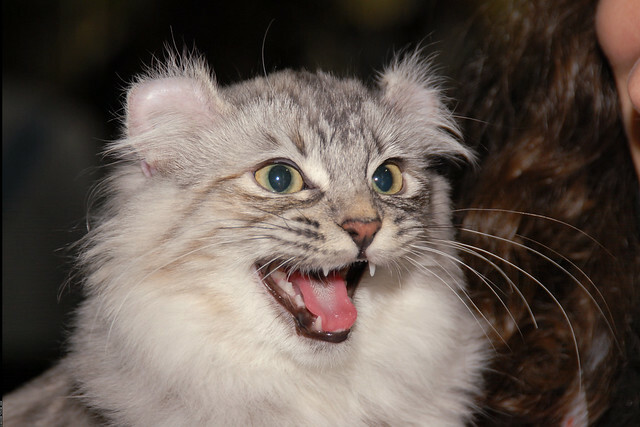 The author is a blogger about cats and an expert on American Curl cat. The American curl cat is easy to identify: They have ears that curve back and toward the center of their head. This cute little kitty is known for being very friendly and loving toward its owner, while also being trouble free health wise. They don't have many genetic diseases associated with their breed, require very little grooming and come in long or short haired versions. The American curl cat has a personality just as unique as their ears. They're known for their cute, cuddly -- approachable facial expressions. Most people either love most cat's independent nature or hate it; the American curl cat is anything but independent thought and isn't an animal you want to have around for just a showpiece. They love attention and will go out of their way to get it. Many owners believe the cat's mischievous personality comes from the fact that it actually takes them 3 years to reach adult maturity. Many breeds will reach maturity not long after they're a year old, but the fact the curl takes so long to mature means they have youthful exuberance well into their life and are known to live for a long time. The curling of their ears usually happens a day or two after birth and the ears will be permanently set or curled by the time they're four months old. The quality and value of the cat are determined after the ears have set. The more of an inward curl the ears have to make the cat's show capability better, as the curvature of the American curl cat is what they're judged on at cat shows. Their personality remains intact regardless of their curl though and is well worth the investment to compliment your family. They are great with children and respectful of other pets in the home also. Find out more on American curl cat and read many interesting articles on pet health care.